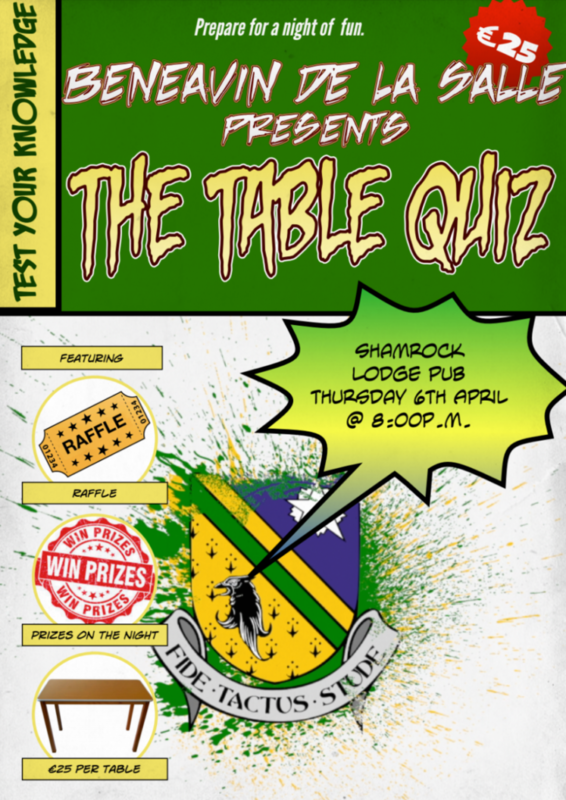 Beneavin De La Salle’s Annual Pub Quiz will take place this Thursday, 6th April in the Shamrock Lounge at 8pm. Tables are €25 each and there will be a raffle and lots of prizes on the night. Hope to see you there.